Published by Aberdeen University Press, Aberdeen First Edition 1991. 1991. Published by Tempus Publishing Ltd., Stroud, Gloucestershire First Edition 2007. 2007. 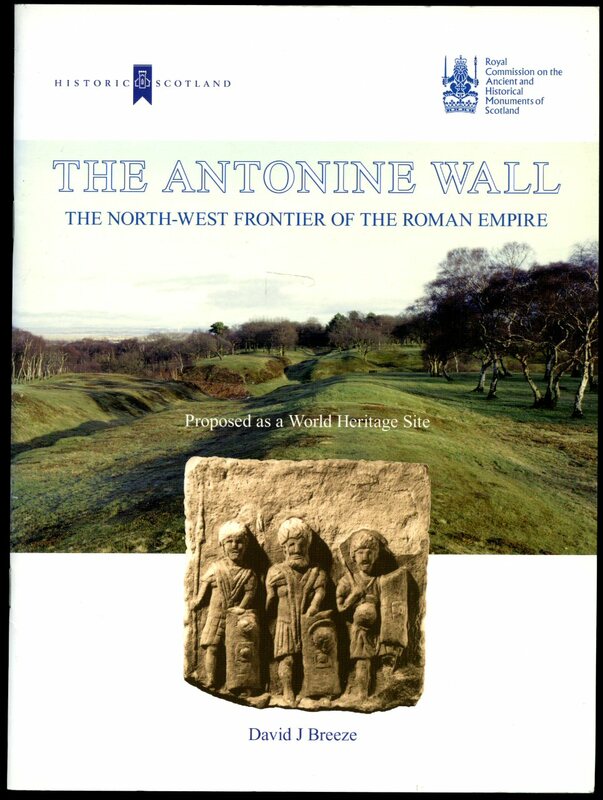 Published by The Council for Scottish Archaeology, Chambers Street, Edinburgh 2002. 2002. First edition in publisher's original illustrated navy card wrap covers [soft back]. 4to. 11¾'' x 8¼''. Contains 147 printed pages of text with figures, maps and photographs throughout. In Fine condition, no dust wrapper as issued. 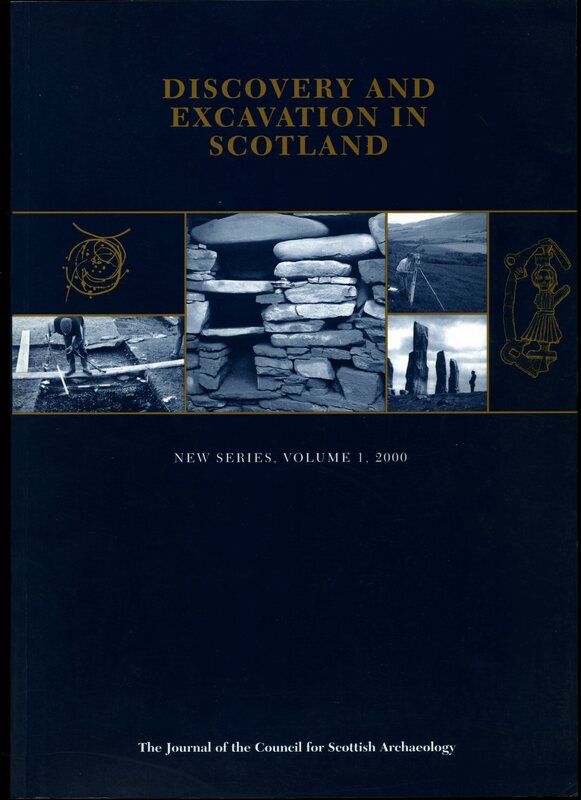 We currently hold in stock 25 other years from Discovery and Excavation in Scotland series. Member of the P.B.F.A. 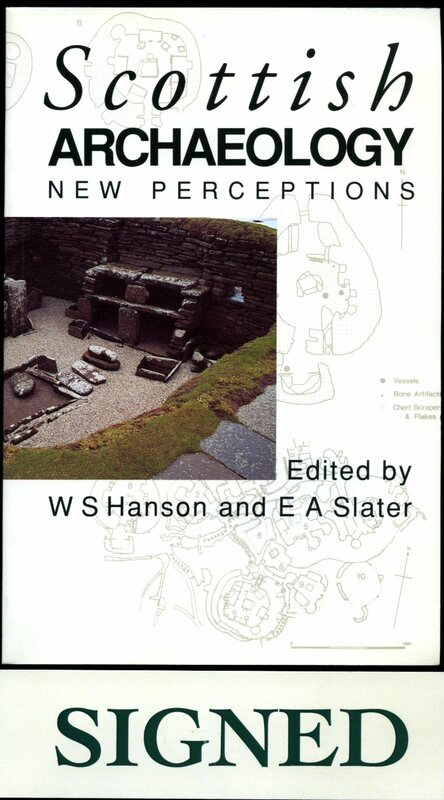 Published by Historic Scotland, Edinburgh, Scotland, Revised Edition 2005. 2005. 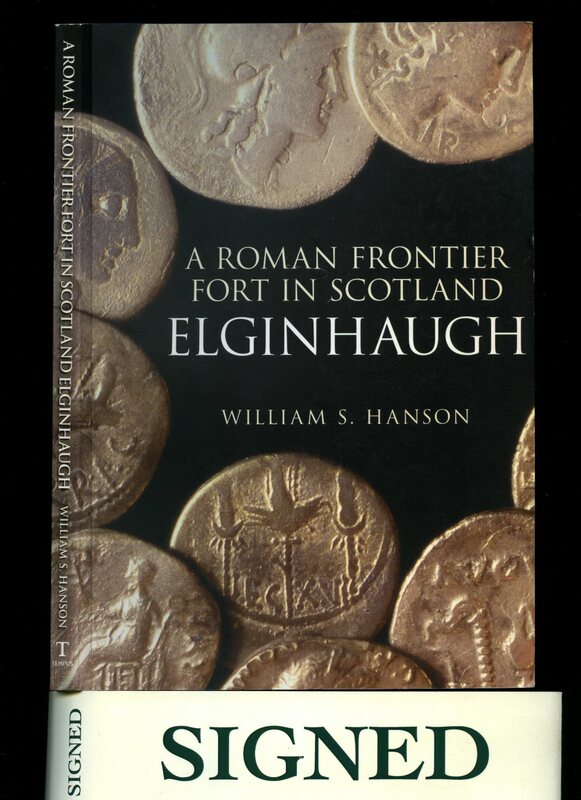 Published by The Council for Scottish Archaeology, Chambers Street, Edinburgh 2001. 2001. First edition in publisher's original illustrated navy card wrap covers [soft back]. 4to. 11¾'' x 8¼''. Contains 143 printed pages of text with figures, maps and photographs throughout. In Fine condition, no dust wrapper as issued. 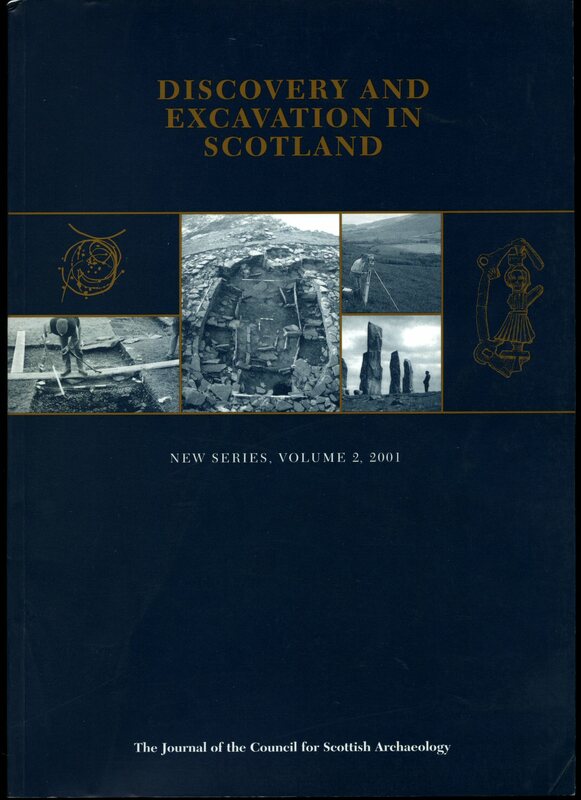 We currently hold in stock 25 other years from Discovery and Excavation in Scotland series. Member of the P.B.F.A. 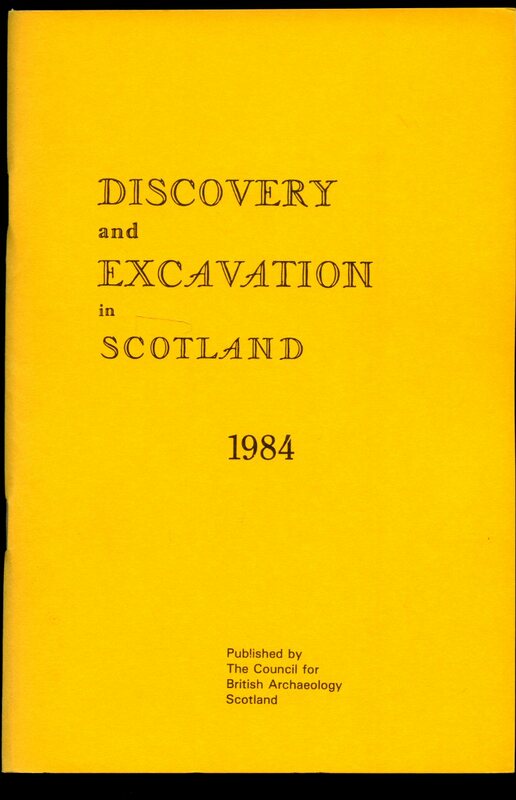 Published by the Council for Scottish Archaeology, Edinburgh 1988. 1988. First edition in publisher's original illustrated card wrap covers [soft back]. 4to. 11¾'' x 8¼''. Contains 46 printed pages of text with some figures. In Fine condition, no dust wrapper as issued. We currently hold in stock 25 other years from this series. Member of the P.B.F.A. 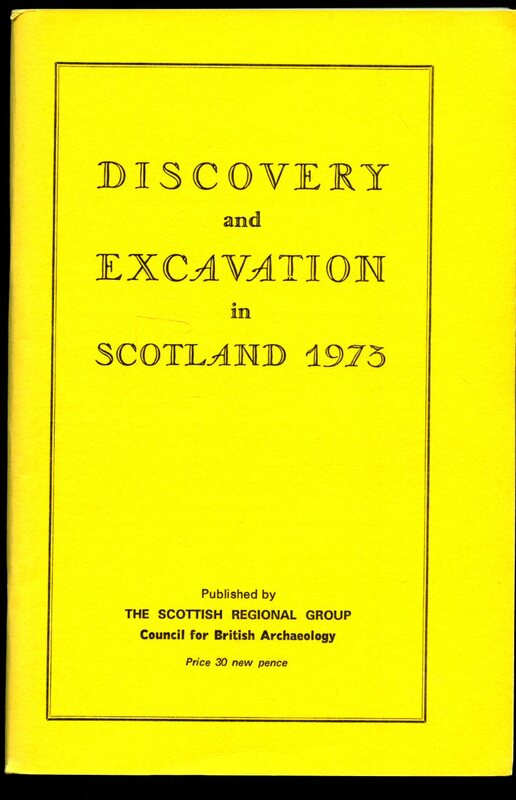 Published by Council for British Archaeology: Scottish Regional Group, Edinburgh 1975. 1975. First edition in publisher's original stapled plain colour card wrap covers [soft back]. 8vo. 8½'' x 5½''. Contains 111 printed pages of text. In Fine condition, no dust wrapper as issued. From the private library of author Lesley Macinnes signed by her to the half title page. We currently hold in stock 15 other years from this series. Member of the P.B.F.A. 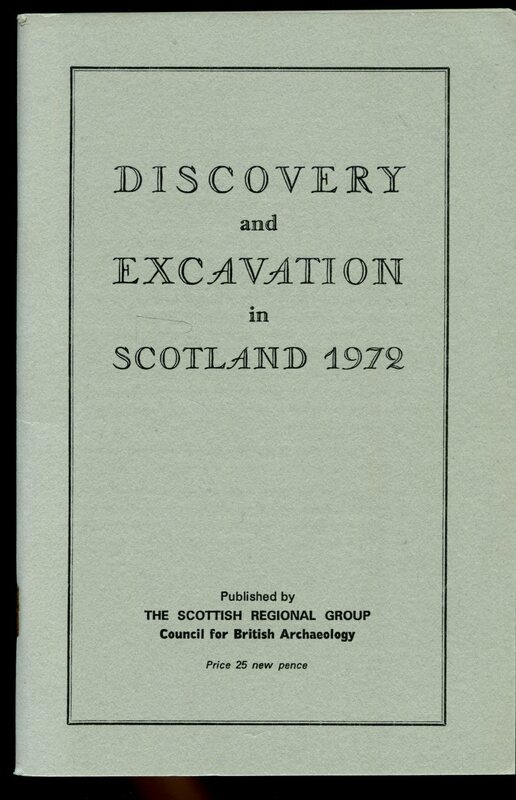 Published by Council for British Archaeology: Scottish Regional Group, Edinburgh 1972. 1972. First edition in publisher's original stapled plain colour card wrap covers [soft back]. 8vo. 8½'' x 5½''. Contains 81 printed pages of text. In Fine condition, no dust wrapper as issued. From the private library of author Lesley Macinnes signed by her to the half title page. We currently hold in stock 15 other years from this series. Member of the P.B.F.A. 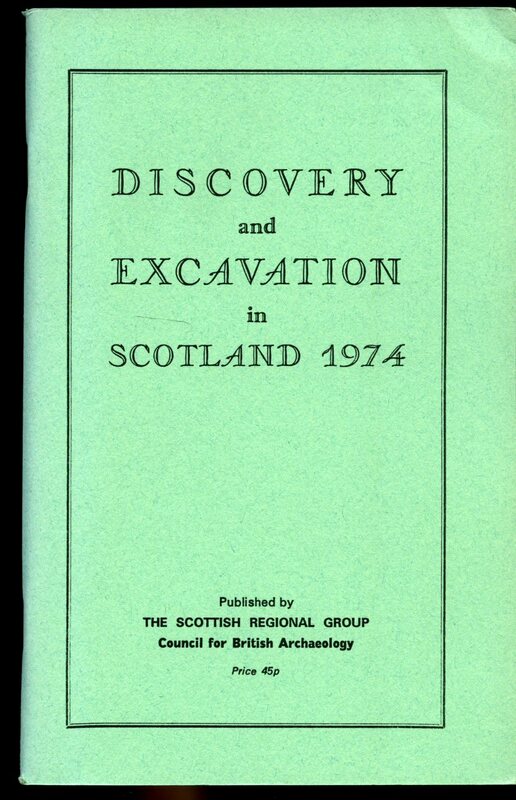 Published by Council for British Archaeology: Scottish Regional Group, Edinburgh 1974. 1974. First edition in publisher's original stapled plain colour card wrap covers [soft back]. 8vo. 8½'' x 5½''. Contains 91 printed pages of text. In Fine condition, no dust wrapper as issued. From the private library of author Lesley Macinnes signed by her to the half title page. We currently hold in stock 15 other years from this series. Member of the P.B.F.A. 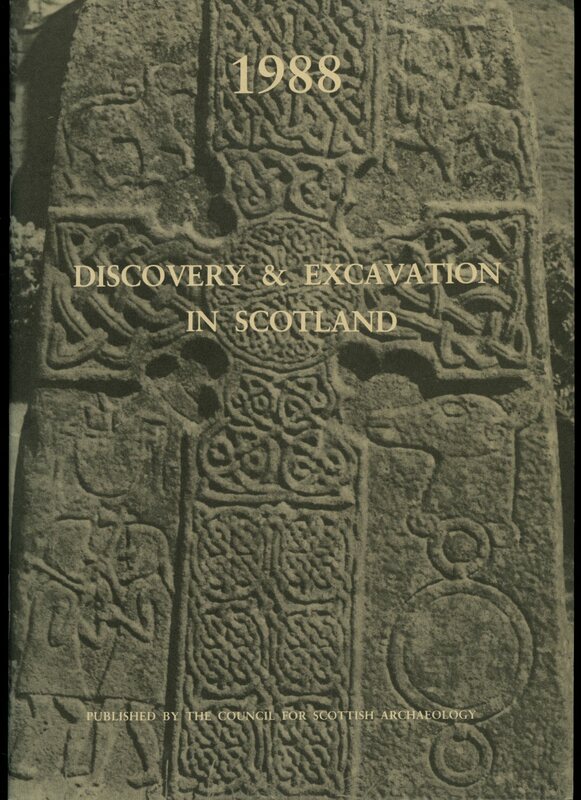 Published by Department of Archaeology, University of Glasgow 1990. 1990. Published by Historic Scotland, Edinburgh, Scotland, First Edition 2004. 2004. 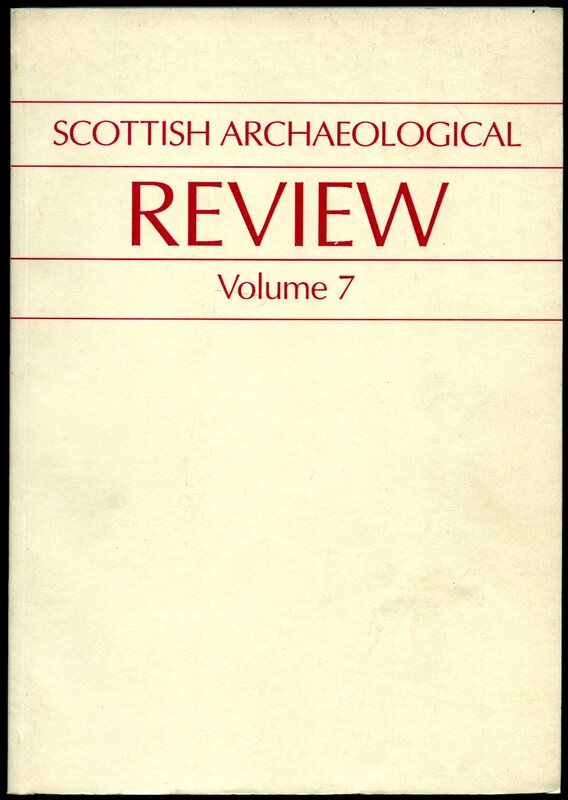 Published by Council for British Archaeology: Scottish Regional Group, Edinburgh 1985. 1985. First edition in publisher's original stapled plain colour card wrap covers [soft back]. 8vo. 8½'' x 5½''. Contains 91 printed pages of text. In Fine condition, no dust wrapper as issued. We currently hold in stock 15 other years from this series. Member of the P.B.F.A. 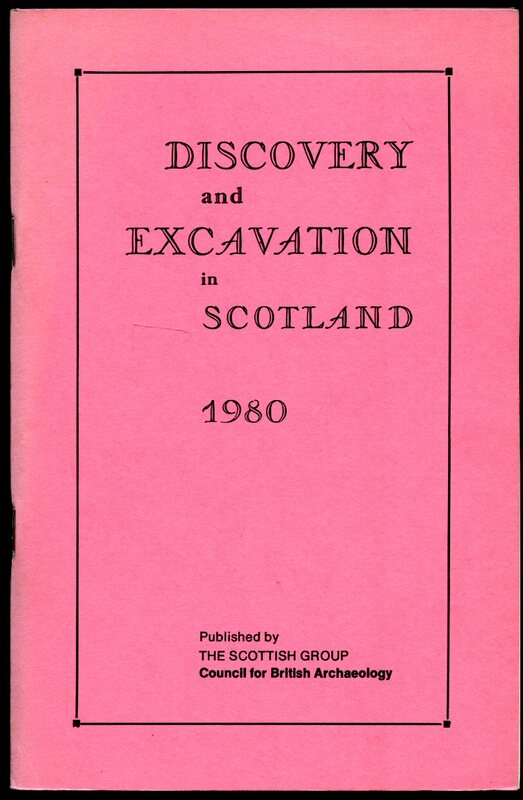 Published by Council for British Archaeology: Scottish Regional Group, Edinburgh 1981. 1981. First edition in publisher's original stapled plain colour card wrap covers [soft back]. 8vo. 8½'' x 5½''. Contains 86 printed pages of text. In Fine condition, no dust wrapper as issued. We currently hold in stock 15 other years from this series. Member of the P.B.F.A.